Why doesn’t traditional dieting work? If exercise is so good for you, why don’t more people lose weight doing it? Why does so much weight seem to be stored in the abdomen belly? Why can’t I sleep better? Is stress really a big problem? Are there alternatives to drugs and pills? Take a look at the testimonials page. They are real. Wouldn’t it be nice if some of those were you..it can be! 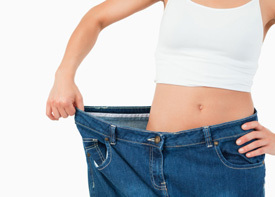 Dr. Ambrosio has developed his own formula in designing a weight loss plan that works. We will first perform an examination to determine your body type. Before you determine that this is just another one of those diets that don’t work, visit our weight loss website for more specific details. After you’ve had a chance to look around our weight loss site and read some of the testimonials, we encourage you give us a call today to get started! Your nutritional program customized just to fit your needs will have you losing unwanted pounds and feeling great.